On the three-year anniversary of Nazanin Zaghari-Ratcliffe’s arrest in Iran, REDRESS calls once more on the Government of Iran to bring an end to her unlawful detention, before her health deteriorates further. Nazanin was returning from a holiday visiting her family in Iran with her then one-year-old daughter, Gabriella, on 3 April 2016, when she was arrested on unspecified charges by the Iranian Revolutionary Guard at the airport. Having spent three birthday parties away from her mum, Gabriella is now four years old. She remains in the care of her grandparents in Iran. Nazanin sees her daughter infrequently and only in prison, and has not seen her husband since her arrest. Nazanin has spent a total of eight and half months in solitary confinement, and continues to be denied access to crucial medical treatment. During her detention, Nazanin has been held in inhumane conditions, in cells without windows, measuring only 1.5m by 2m in size. Her health has severely deteriorated since her arrest. She has suffered from blackouts, panic attacks, st-traumatic stress disorder, difficulty moving her arms and hands, and suicidal thoughts. Yet Iran has refused her medical treatment, denying her neurological care, access to an outside psychiatrist, and an urgent examination of lumps in her breasts, prompting her to go on hunger strike for three days earlier this year. In January 2019, six UN experts found that this treatment may amount to torture and urged Iran to release Nazanin, following appeals by REDRESS, but Iran has continued to ignore calls to bring an end to her detention. 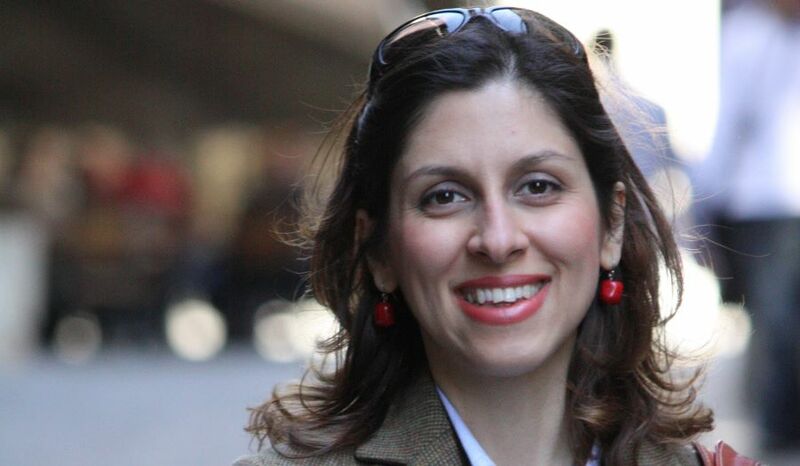 The UK government made the decision to grant diplomatic protection to Nazanin on 7 March 2019, a move that her husband and legal team, including REDRESS, have been calling for since November 2017, elevating Nazanin’s case to a formal inter-state dispute between the UK and Iran.